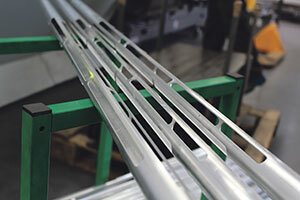 Gratnells has been providing engineering solutions for over 40 years. Historically known as the leading name in school storage in over 68 countries of the world (and the producer of the iconic Gratnells Tray) Gratnells has developed into a multi-sector manufacturer capable of providing high-volume laser cutting, powder coating and bespoke metal solutions to a wide range of customers. This year, Gratnells has been awarded the prestigious Manufacturing Guild Mark, an exclusive accolade only permitted to businesses that can showcase the highest of standards. The Manufacturing Guild is awarded by The Furniture Makers’ Company and for the past 25 years has distinguished Britain’s top furniture manufacturers. This respected accreditation can only be achieved after a thorough and rigorous audit process that takes into account abilities in manufacturing, design, sustainability and quality. The inspectors that assessed Gratnells reported they were particularly impressed with the company’s demonstrable culture of continuous improvement. Gratnells continues to expand its offering and remains at the forefront of equipment and technological advancements in the engineering space. The company recently showcased latest developments at the PDM event in Telford and as part of the AILU laser hub at the Advanced Engineering show at the NEC in Birmingham. The Harlow-based manufacturer specialises in short run, quick turnaround projects, giving customers (such as those with bespoke automotive requirements) shorter lead times, high precision and quality customer service. 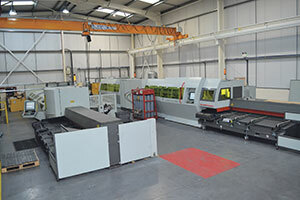 Powder Coating, Injection Moulding and Laser Cutting are just some of the areas where investment has been made this year, including a new Sprayline Plant machine, IM machine number 8 and a BLM LT Fiber tube cutting machine. In particular, the BLM LT Fiber tube cutting machine has helped increase efficiency, benefitting both the company and their customers with a fast and highly precise process. 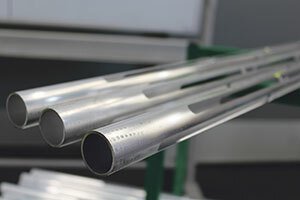 Designed to cut from small to medium diameters and thicknesses of metal tubular sections, the LT Fiber allows tubes of any shape to be cut, process of special sections and even open shapes without any additional special equipment required. 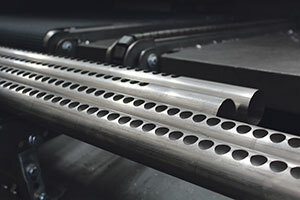 The laser cutting range boasts an automated unloading and support system for pre-cut lengths up to 6,100mm, automatic weld seam detection, and a module that maintains the cleanliness of the internal tube surface whilst machining. Anti-crush technology makes the machine capable of processing even the lightest of tubes without deforming the walls. This high-tech equipment is also great for scrap reduction by setting the sequence of parts to be cut and minimising end of bar scrap; meaning less overall waste, which is good for the company and for the environment too. 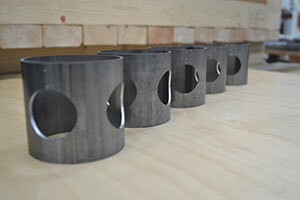 Loic Jones, Operations Director, says “Gratnells decided to invest in state-of-the-art laser technology to enable us to offer fast production runs with the best quality finish, to our customer base. This substantial investment will allow us to continually support the ever-demanding needs of modern manufacturing clients”. The Gratnells Engineering factory can turn around tube laser cutting jobs within 3-5 days from receipt of order and, using sophisticated software, can process parts from a variety of media including 3D models, xt files and solid works. This is particularly beneficial for bespoke automotive and point-of-sale components where the minimum quantities can start at one. It isn’t just machinery that Grantells have been investing in for the future either; they remain committed to providing opportunities to students who show an active interest in STEM topics. Just last year, three Harlow College students achieved engineering apprenticeships at Gratnells and have now gone on to become integral members of the team. This entry was posted in News and tagged Industrial. Bookmark the permalink.